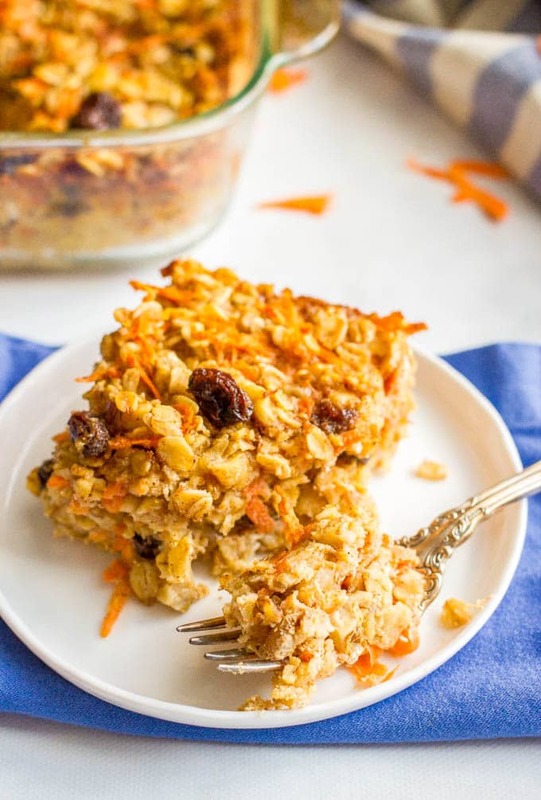 Carrot cake baked oatmeal is a fun start to the day! 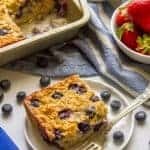 Naturally sweetened and loaded with walnuts and raisins, plus an optional cream cheese glaze, this is great for a make-ahead breakfast! Lots of husband being gone during the day over the weekend (aka Mama on duty without a break) and then staying up late to catch up with him (aka not enough sleep). But Monday morning is a little brighter with this breakfast! 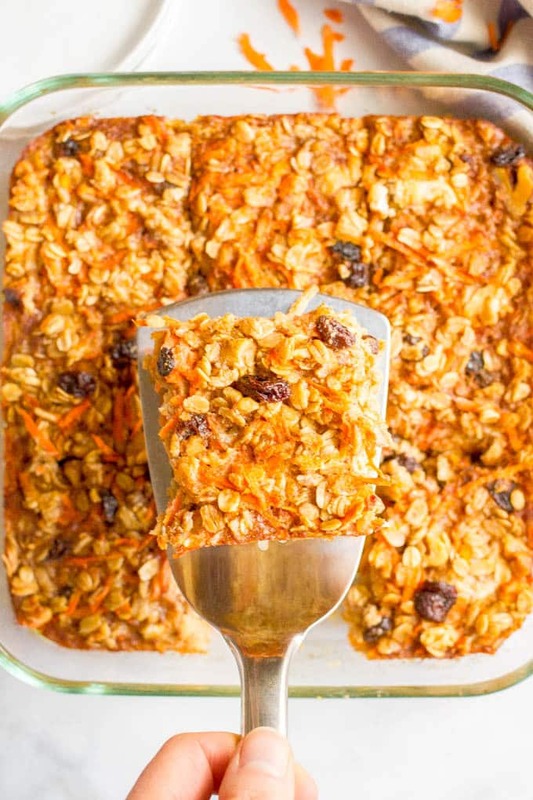 So you know we love our baked oatmeal here, right? 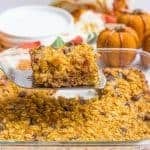 Banana bread baked oatmeal is on our regular rotation and I love our pumpkin baked oatmeal with chocolate chips for a fun fall treat. Of course, the next time I gave it to them, they gobbled it up and wanted a second serving. And a third. There goes mama’s morning treat… And my husband’s. He loves this one, too! Can’t blame them though. 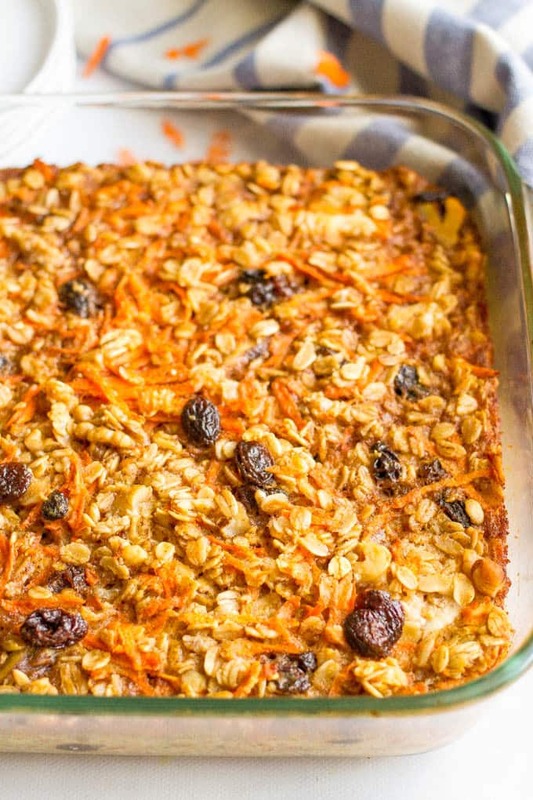 This is all the goodness of carrot cake, made healthier and made into breakfast! This is something I usually make on the weekends for us to have for the week. But it would also be amazing as part of a brunch spread and definitely for Easter coming up! And if you are looking to dress it up, I’ve included a simple cream cheese glaze that seriously puts this over the top! – I typically use 1/3 less fat cream cheese, but any kind will do. – Same goes for milk. I’ve made it with soy, 2% and skim, so I think most any other milk alternative would work as well. – I like it with both the walnuts and raisins, but you could try leaving out one or the other if you’d rather. – It helps to use a whisk or a mixer when you’re combining the wet ingredients, but I’ve made it work with a fork before too. It’s OK to have a few cream cheese chunks, but you want it mostly broken down and combined. 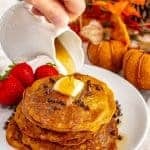 – For the glaze, you can add more or less powdered sugar to get it to your desired level of sweetness. Also, I recommend you start with a tablespoon of milk and then add splashes as needed to get it to your perfect drizzling consistency. 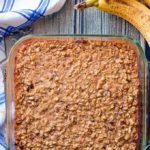 This freezes great too, which makes it perfect for meal prepping! I cut it into squares and pack 4 pieces into a freezer-safe quart-size bag. Then you just need to thaw it overnight in the fridge (or you can microwave each piece for a quick option). I recommend freezing without the glaze. I’ll also say, we love this cold but you can warm it up. See which way you prefer! 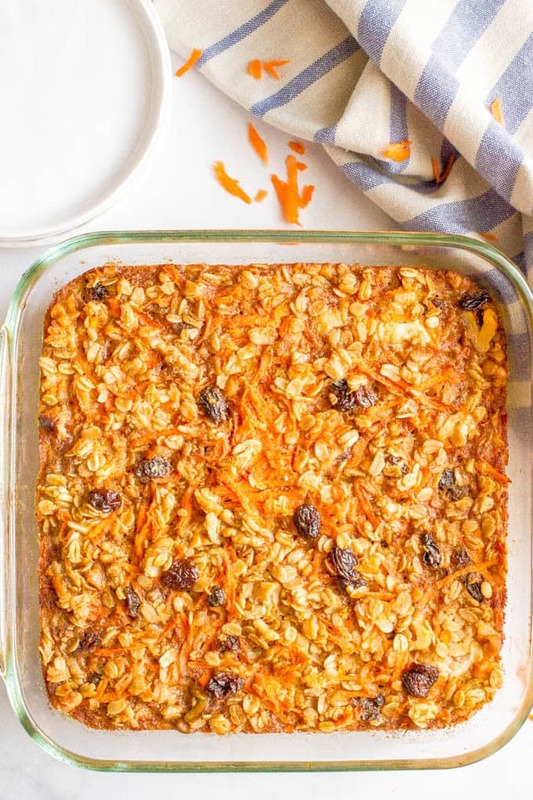 Carrot cake baked oatmeal is a fun start to the day! 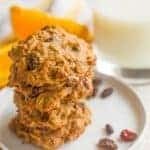 Naturally sweetened and loaded with walnuts and raisins, this is great for a make-ahead breakfast! Preheat oven to 375. Spray an 8x8-inch pan with cooking spray and set aside. In a large bowl, combine the oats, walnuts, baking powder, cinnamon and salt. In a separate bowl, beat together the egg, cream cheese, milk, maple syrup, canola oil and vanilla. It helps to use a whisk or mixer but a fork can work, too. It's OK to have a few cream cheese chunks but you want it mostly broken up and well combined. Add the wet ingredients to the dry ingredients and stir until well combined. 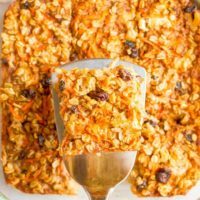 Fold in the carrots and raisins. Pour into prepared pan and bake at 375 for 30 minutes, or until set. Let cool for at least 10 minutes before cutting into squares so it can set up. To make the glaze: Combine cream cheese, powdered sugar, vanilla and 1 tablespoon of milk in a small bowl and beat on low with a mixer. Add extra milk, a teaspoon or so at a time, until the glaze reaches desired consistency. 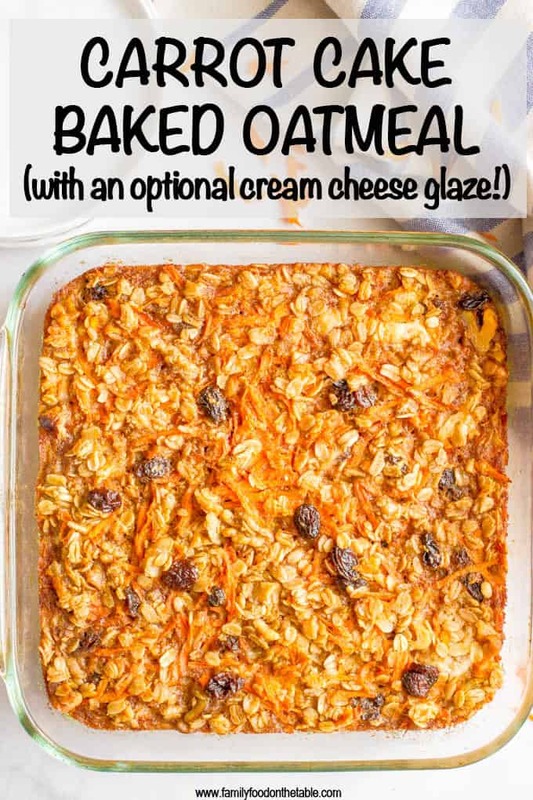 Drizzle or spread over baked oatmeal and serve! I use 1/3 less fat cream cheese but any kind will do. I've used soy, 2% and skim milk here and all are fine. I think most other milk alternatives would be OK to substitute as well. You can add more or less powdered sugar to get the glaze to your desired level of sweetness. Also, I recommend you start with a tablespoon of milk and then add splashes as needed to get it to your perfect drizzling consistency. This freezes great! I cut it into squares and pack 4 pieces into a freezer-safe quart-size bag. Thaw overnight in the fridge (or microwave for a quick option). I recommend freezing without the glaze. We love serving this both warm and cold - see what you prefer! Whoa! This sounds incredible! 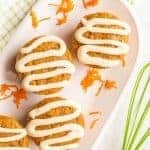 I love carrot cake and oatmeal (and cream cheese glazes). I know I’ll be making this soon! (And eating for bfast–with plenty of glaze.) I hope you’re able to get some rest this week :). This would be perfect for Easter and definitely with the cream cheese glaze – yum! Oh my gosh! 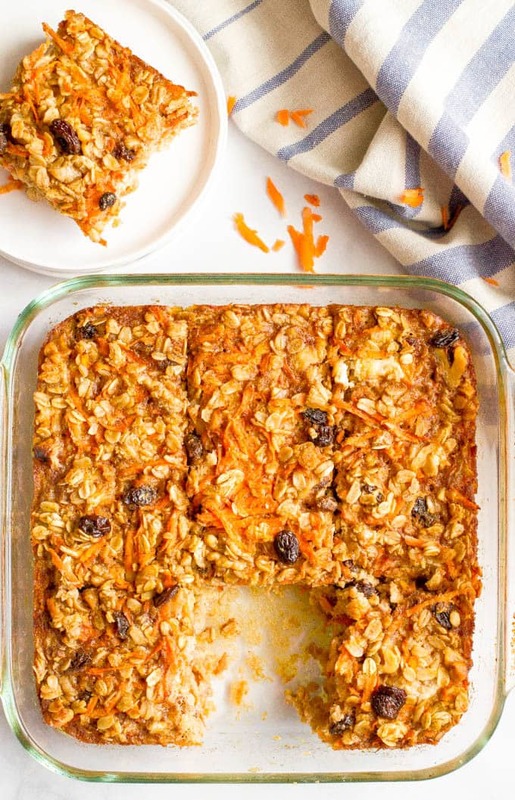 Carrot cake and oatmeal are two of my favorite foods on the planet, and here it is all together in a single dish. *bowing down* THANK YOU for sharing this! Mmmmmmm! Looks sensational. I would ditch the raisins and dive in, head first! Thanks Megan! It’s a favorite here – we had it again yesterday!